So with a little inspiration from Meagan of All the Joys I have decided to join her with her Blogger Love posts every Friday in which I will share my favorite blog posts of the week to spread the blogging love! I am very happy to start participating in activity every Friday since I love to recommend things, in this case blog posts, to others. 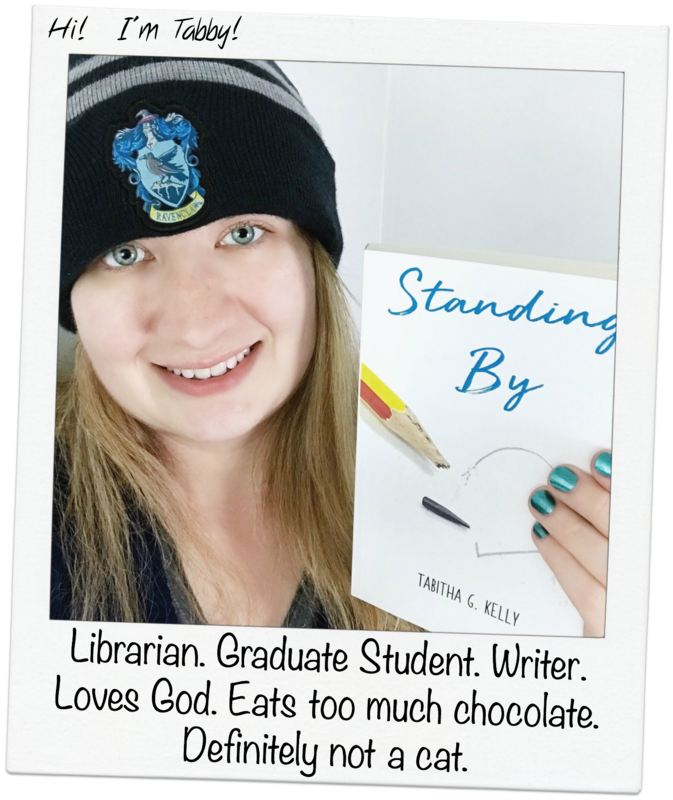 I’m also hoping to be able to make more personal connections with my fellow bloggers. Lastly, it gives me a theme to post every Friday… who doesn’t love that? So, on with this week’s Friday Five! 50 Things to Write About When You Have Writer’s Block by Centsational Girl. I don’t know about the rest of you, but I get writer’s block more than I like to admit… and not just with blogging. I definitely plan on trying a few of these out! Salted Caramel Coconut Brownies by The Girl Who Ate Everything. These look like the most delicious brownies on the planet if you ask me! As soon as I get the chance I need to try making some of these babies! Why I Blog by The Private Life of a Girl. 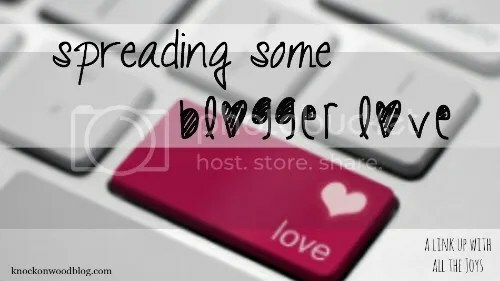 I love reading about why others blog. We all have our reasons, our own stories. This one just happened to peak my interest this week. Worrying About Worry by Beautiful Life with Cancer. This one had inspired me to write my own post in response to hers. I think when someone’s post can make you want to give your own perspective on it, it’s definitely worth sharing! Unplugged by 99+ Sly Thoughts. Going unplugged from social media for a short time seems like a great idea. I don’t think I could really ever do it, but I might be willing to give it a try. Maybe. Well, there we have it folks. 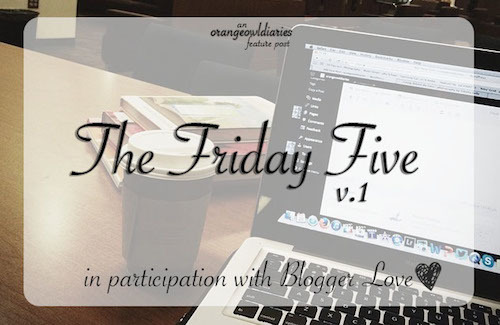 Those are my Friday Five for blogger love! Hopefully you’ll check these amazing bloggers out as well as the lovely lady who started this link-up! Thanks for spreading the love! 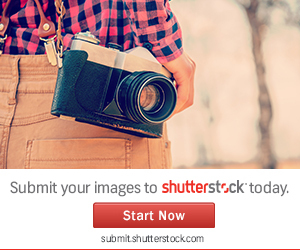 I will check out these bloggers for sure. Good luck with the blizzard. SO happy to have you this week! Those all sound great, and all new to me so I am going to spend some time tonight checking them out. I hope you have a wonderful week! Thank you! I’m definitely going to love doing this each Friday! It’s fun to share the blog posts that I’ve read, especially when they’re new to others. I hope you like them and have a wonderful week as well!